Dr. Hopkins has been a qualified Orthodontist since 2012. 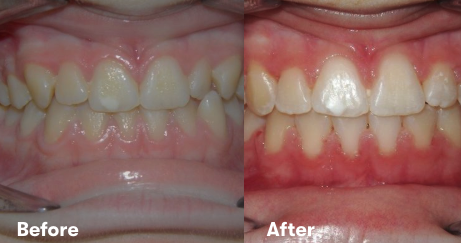 Below are some case examples demonstrating the affect orthodontic treatment can have on the appearance of teeth. All of these patients have just recently finished treatment, and they represent a selection of treatments available from our orthodontist in Clarkson Perth. 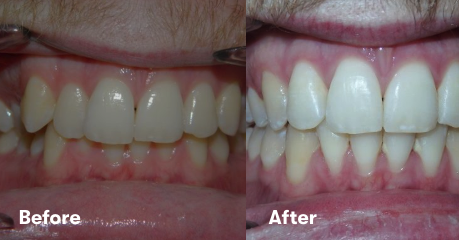 Two of the patients had early treatment to correct an anterior crossbite (under-bite). Here are some before and after photos of the difference their treatment made. 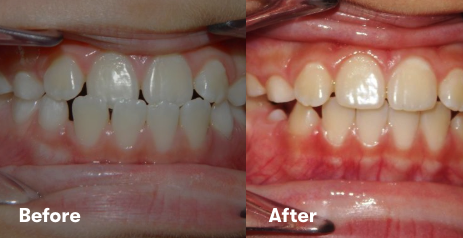 One teenager had a fixed appliance fitted to improve the appearance of her teeth, and this was completed in less than a year. 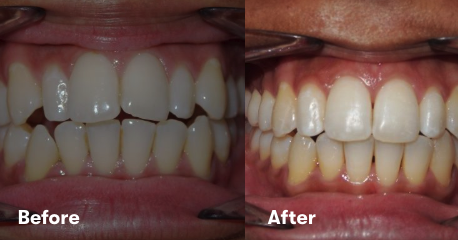 Finally, we have two patients who were successfully treated with Invisalign. This adult patient was complaining that his teeth were “crooked”. He was happy to have fixed appliances and knew that he needed teeth removed to make room. His treatment spanned 18 months. This adult patient did not like the appearance of his teeth. He did not want fixed braces. Invisalign was used to improve the bite and close the gaps at the front. This treatment was undertaken in 15 months. This teenage patient was not happy with the overlapping of her teeth. ‘Insignia’, our customised fixed appliance of choice, was used to straighten her teeth and improve her bite. 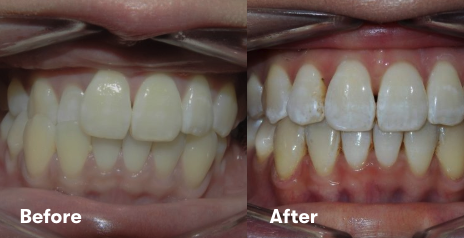 This treatment was completed in less than 12 months. This nine year old boy has an anterior crossbite (underbite), and he only had to wear a night time appliance for six months to fix his bite. This 12 year old boy had an underbite and teeth which were impacted (stuck). He had a fixed brace placed on his top teeth only, and his treatment was finished within a year. This teenager was unhappy that her top teeth stuck out too far. 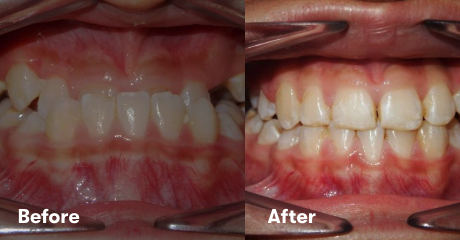 She had a course of fixed braces to reduce the prominence of her teeth and she was very happy with the result. Her treatment lasted 18 months. This adult patient was unhappy that some of his top teeth were biting the wrong way round. 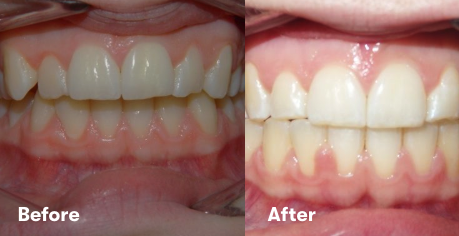 Invisalign was provided to fix the bite and straighten the teeth. Treatment was completed within 14 months.